We didn’t highlight major updates to Ulysses last week for iOS 12, even though it launched its own support for Siri Shortcuts. 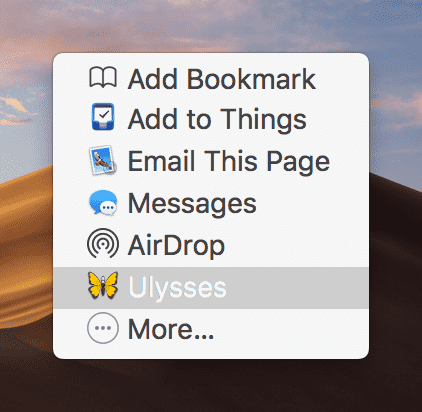 Reason being: Ulysses has received an even bigger update for macOS Mojave. 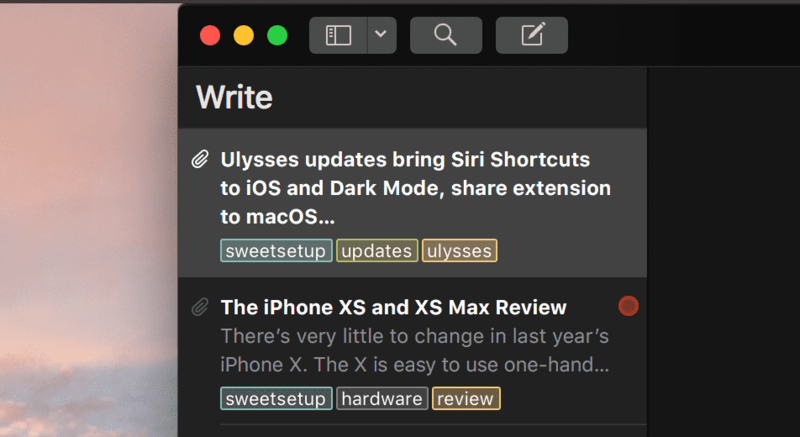 The latest iteration of Ulysses includes a macOS Mojave Dark Mode, a new sheet list with a fresh design, and an all new share extension for sending your work across macOS. All this, plus Siri Shortcuts on iOS, means the Ulysses team has been hard at work over the last few months. 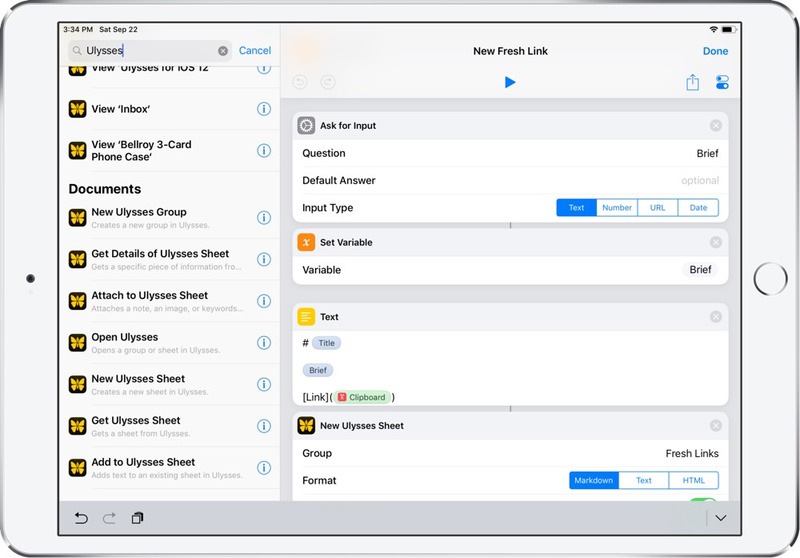 Ulysses for iOS 12 allows users to use all facets of the new Siri Shortcuts and Shortcuts app in iOS 12. Using Siri Shortcuts, you can set up shortcuts to complete your most used actions in Ulysses. You can open a specific group, create a new sheet inside a group, and more with Siri, or you can use the Siri Suggestions to see which shortcuts your iPhone thinks you should create. You can also jump into the new Shortcuts app and find a range of new Ulysses actions to bake into bigger workflows. I jumped in over the weekend and created a simple shortcut that takes the clipboard and creates a new sheet inside Ulysses with a popup box to fill in the title and a little thought blurb. These Ulysses actions work really well inside iOS 12’s Shortcuts app and are likely to vastly improve how to get text into and out of Ulysses on iOS. Ulysses already has a library of themes, all of which have the option of a light and dark theme. Mojave’s Dark Mode support, therefore, is somewhat lost on the latest Ulysses update. The Ulysses team has fine-tuned and reworked the default dark theme to fit inside macOS Mojave, however. The reworked Dark Mode can be switched on manually in the app’s preferences or Ulysses can follow the global preference set inside macOS’s system preferences. Theme D14 has also been optimized to use Mojave’s Dark Mode, so be sure to give that theme a shot to see the team’s vision of the ultimate Dark Mode design. The far left column in Ulysses houses groups and other filters, while the second column from the left houses all your sheets. This column has been reworked in Ulysses for macOS Mojave and now sports bigger column titles and better clarity and legibility. Overall, these changes bring the Mac app closer to the iOS app and ensures consistency in design across the board. If you’re browsing in Safari and find something to capture inside Ulysses, the latest update provides a new share extension for capture. This has been one of the best capture methods for iOS users for awhile, but has now been brought to the Mac. 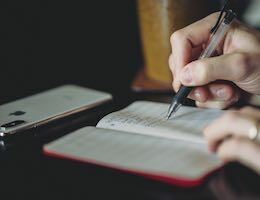 This is particularly handy for writers who may need to reference someone else’s work. You can highlight text in Safari, use the share extension to create a new sheet in Ulysses, and Ulysses will ensure the highlighted text and link appear in the sheet. Quick and easy, especially for research and reference purposes. We’re delighted to see the continual evolution of our pick for the best writing app for iPhone, iPad, and Mac. Siri Shortcuts are sure to speed up workflows on iOS and the inclusion of an optimized Dark Mode, share extension, and slight design tweaks will keep Ulysses feeling updated and fresh. 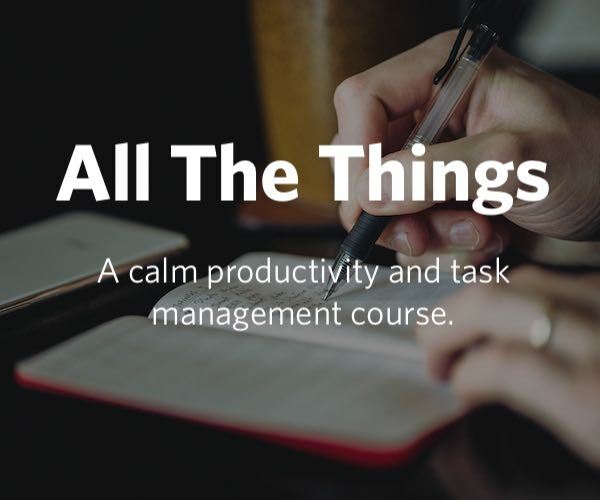 Our review covers a broad range of how to use Ulysses to improve your writing workflows, but you can also take a look at our course to dive even deeper into the app. Ulysses for iOS 12 and macOS Mojave is available as a free update for all users on the respective App Stores.